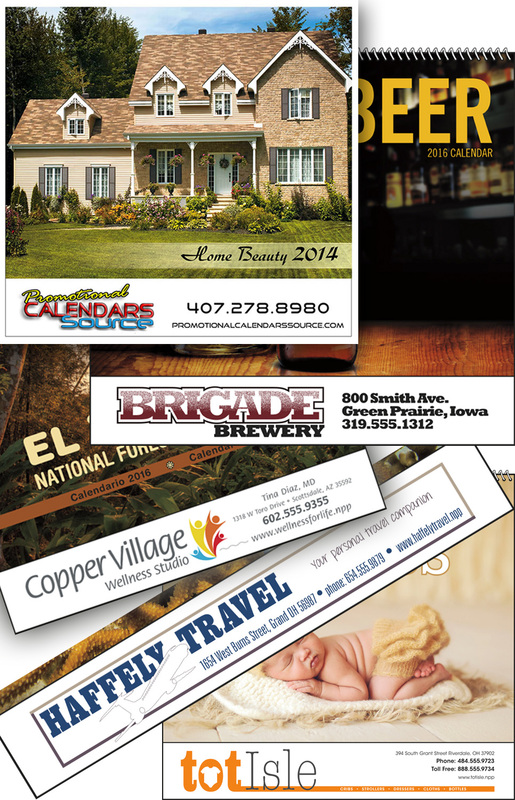 Increase visibility with Full Color Ads on your Promotional Calendars for just a few pennies more on selected products. Let us help you make your ads come to live and stand out in the crowd. Pictures, Color Logos, Backgrounds, can be used to enhance your image. Contact us with your details and let us show you the difference. Here are some examples of calendars with the Ad copy imprinted in full color enhancing the ad copy to stand-out and make it more prominent. Multicolor ads are another way to increase visibility and increase sales.